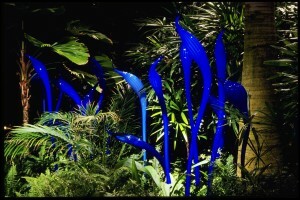 Posted on June 12, 2013 at 10:00:00 am by Michelle M.
Known throughout the world for his exquisite glass creations, Dale Chihuly’s work will be on display at The Fort Wayne Museum of Art beginning June 29. In addition to the exhibit, the International Glass Invitational will be on display. This display will showcase 30 different pieces of glass art. The Chihuly Affect exhibit will also be on display at the museum during the Secret Garden exhibit showcasing works from artists inspired by the work of Dale Chihuly. All three exhibits will be available for viewing from June 29-September 29. 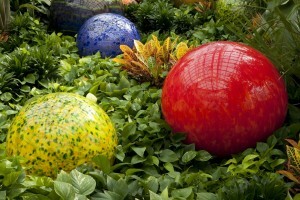 Admission to Chihuly: Secret Garden is free for FWMoA members. Admission to the museum is also free for members. Nonmembers will be charged a $14 admission to attend the exhibit. Nonmember admission to the museum is $7 for adults, $5 for students with free admission on Thursdays from 5-8 and Sundays from 12-5. Museum memberships start at $30.